This week caused ruckus for social media after government sought inputs to block social media for emergencies and now, Cellular Operators Association of India (COAI) has told the Department of Telecommunications (DoT) that any move to block popular social media apps like Facebook, WhatsApp, Telegram and Instagram would amount to curtailing freedom of speech, and pointed out that it was technically impossible to completely block an app. COAI represents major telecom companies like Bharti Airtel, Vodafone India and Reliance Jio Infocomm etc. In a letter to the department dated August 6, 2018, COAI said blocking an entire app would “likely impinge on the principles of freedom of speech and expression” and such an action would be disproportionate and “harm the constitutional rights of users” at large. Further, the complete blocking of any app which has billions of users across the world would halt “all day-to-day communications, correspondence and commerce activities. Given that several emerging businesses have begun to evolve on social media and communications applications”, blocking would hurt the economic interests of even innocent users, COAI said. In its letter, the telecom lobby also said that any blocking must be targeted at the content or at the account level, and the government should block a user or malicious content instead of blocking an app or site. After a letter from the Ministry of Electronics & IT (MeitY), DoT had sought views from the industry and stakeholders on technical measures that can be deployed to instantaneously block mobile apps such as WhatsApp and Facebook to curtail hate speech and rumour mongering, in times of crisis. It had sought the views of telecom operators, the Internet Service Providers Association of India (ISPAI), mobile industry body COAI, and others associations. Further, it is being suggested that DoT also plans to hold talks with social media giants on these issues, especially fake news that has gained notoriety for being the trigger for several cases of mob lynching, drawing sharp reactions from even the Supreme Court. The move also comes amid concerns that fake news may be used to influence the 2019 general elections. Earlier, Union Minister Ravi Shankar Prasad had given strict warnings to social media players like Facebook and Twitter to not let any fake news impact upcoming General elections. In its response, DoT pointed to “technical constraints” in blocking certain sites for reasons beyond the control of telecom service providers. COAI also cited secured sites, virtual private networks, redirection of URLs and proxies, as some of the barriers for mobile phone operators to initiate blocking of a mobile app. 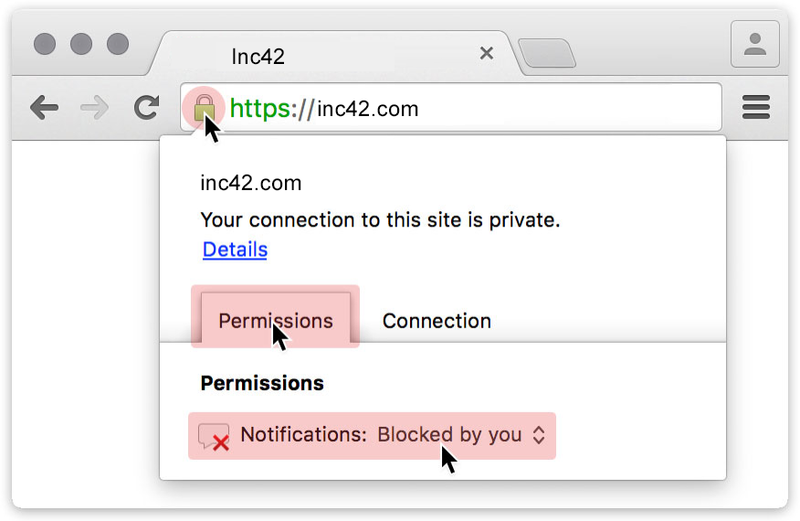 “Similarly, blocking at DNS level may block the entire domain instead of blocking any particular URL. Hence, there is a risk of over-blocking resulting in blocking of legitimate content,” COAI said, adding that such blocking was prone to leakages wherein a user could change the DNS on a laptop or a mobile phone and bypass the block attempted by the carrier. The telecom’s representative also highlighted that content provider were bound by the IT Act 2000 and required to take steps to ensure removal of unlawful content. Content providers already have a robust content moderation mechanism, it said. Once law enforcement agencies bring any unlawful content to the notice of the apps, the latter can “ensure the earliest blocking/removal of the unlawful content”, COAI said. This comes at the time when the central government is apparently drafting new guidelines to make the intermediaries — social media platforms — more responsive to blocking fake news. The government is now drafting certain guidelines, as part of Section 79 of IT Act, that will bind social media companies to respond to complaints over fake news content within a few hours. Currently, the response time for intermediaries is 36 hours.